Haas's Kevin Magnussen was eighth with Sainz ninth and Renault team mate Nico Hulkenberg 10th. Ferrari's Formula One title contender Sebastian Vettel was handed a three-place grid penalty for the Austrian Grand Prix after stewards ruled he had impeded Renault's Carlos Sainz in qualifying. 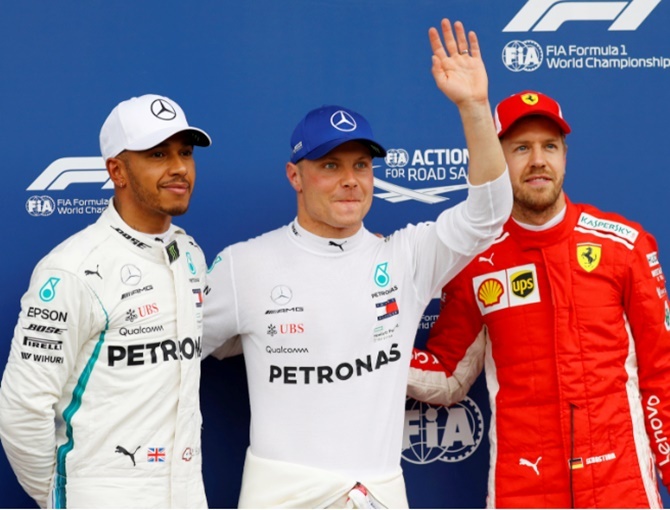 Vettel had qualified in third place, behind the two Mercedes of polesitter Valtteri Bottas and championship leader Lewis Hamilton.